The first foundation stone of the new structure known as The Tower was laid out by Dubai ruler Sheikh Mohammed bin Rashid Al Maktoum at Dubai Creek Harbour this week, the government’s media office reports. The new building will surpass Dubai’s 828m (2,716 ft)-high Burj Khalifa, currently the world’s tallest building and is designed by Spanish-Swiss architect Santiago Calatrava Valls, known for futuristic structures such as the City of Arts and Sciences complex in Valencia, Spain and New York City’s new World Trade Centre transportation hub which opened this year. 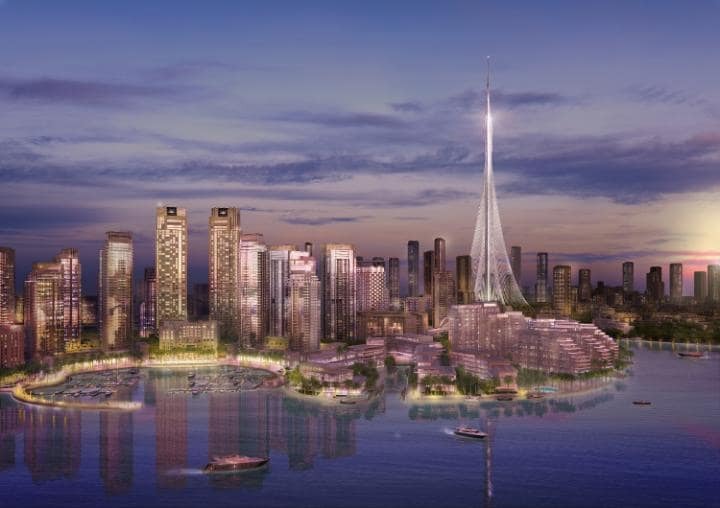 The Tower, which will form the centrepiece of the 3.7 square mile (six square-kilometre) Dubai Creek redevelopment project, will be “a notch taller” than the Burj Khalifa, Mohamed Alabbar, the chairman of Emaar Properties, the same company behind the Burj Khalifa, revealed this April when the plans were first announced. 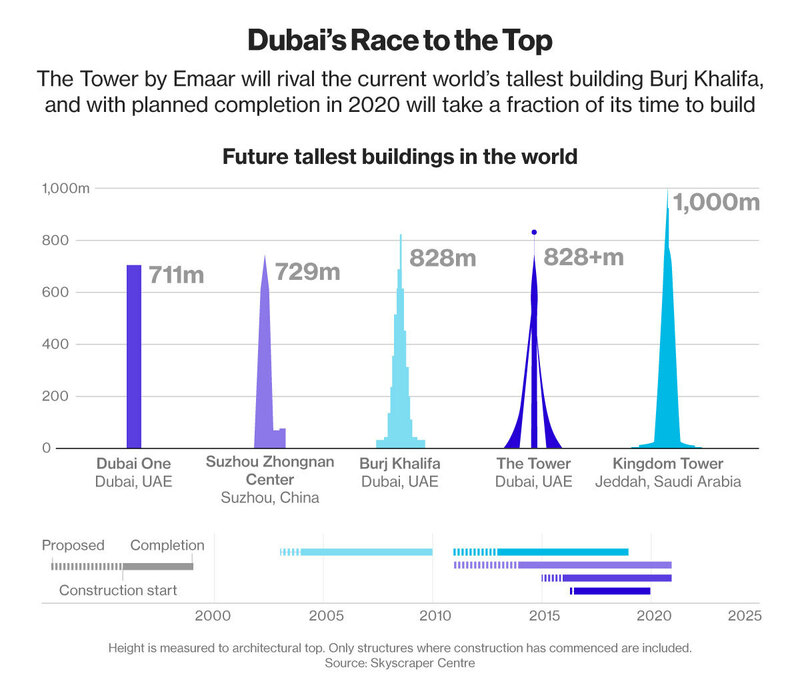 The developers are aiming to complete its construction before the Dubai World Expo in 2020. The project comes even as economic growth in the United Arab Emirates, which includes Dubai, is expected to be the slowest since 2010 after crude oil prices fell by more than half. Home prices may drop by 10 percent in 2017 after a decline of about 7 percent this year, according to Jesse Downs, managing director at real estate consultant Phidar Advisory. Highlighted features of The Tower include The Pinnacle Room, a slender, streamlined structure with a needlepoint-like tip, as well as several “garden” observation decks, decorated with trees and other greenery, which will offer 360 degree views of the city. The building will also have glass balconies that rotate outside the wall of the tower, as well as a luxury hotel and 18 to 20 floors of shops, restaurants and other tourist facilities, the company said.